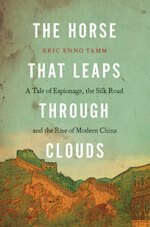 Starting in 2006, The Canadian Eric Enno Tamm retraced the steps of an expedition undertaken exactly 100 years earlier by the Finnish soldier and spy Gustaf Mannerheim, from Russia to Peking via the Silk Road. The result of Tamm’s trek is a newly released book, part travelogue and part history, that examines how China has (and hasn’t) changed in the intervening century. It’s called The Horse That Leaps Through Clouds. I can’t wait to get my hands on a copy, because Tamm wrote a chapter about Kashgar, my favorite disappearing city. On the book’s website there is a web page about the chapter, which shows an intriguing map — a sketch map depicting Kashgar in 1908, as drawn by a Brit, a certain Captain A.R.B. Shuttleworth stationed at the British Consulate there. Tamm had a go overlaying the map on Google Earth, but it seemed to me like a better fit was possible, so I asked him for the original scan of the map, which he had found in the British Library in London. He graciously sent it over. 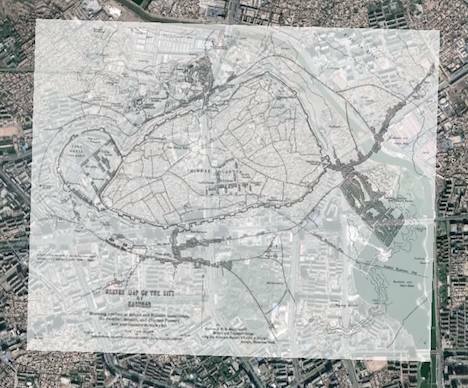 It’s clear from trying to position the map that in places it is not topographically accurate. But by anchoring the North, South and East gates to their modern-day locations, a good number of landmarks match, including large parts of the city wall. Right away, it also becomes clear that the river’s course used to lie further East, across lowlands that are now decked in relatively modern buildings. The maps’s main discrepancy can be found in the size and orientation of the settlement to the Southeast of the city; the fortress to the west is also larger than life. In the Eastern half of the cities, the topology of the mapped alleys is tantalizingly familiar, though without producing accurate matches. 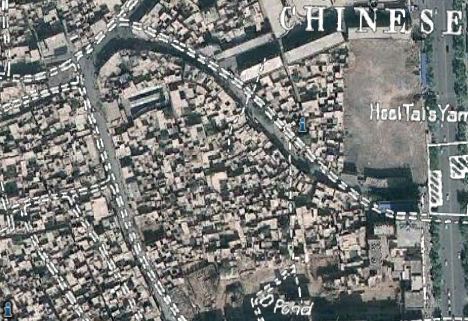 The overlay makes a great companion to the KMZ Google Earth file produced from the week I spent in Kashgar this past summer documenting the ongoing demolition of most of the old city. With this “new” old map, it’s even clearer how much of the destruction is going on inside the circumference of the old city walls.